Shooting 25 meters standard pistol 22LR can be as boring as it sounds. It is though, a good opportunity to improve our accuracy. Sometimes when focusing on defensive shooting at shorter distances and using human silhouettes we can get complacent with our accuracy. Besides, a 22LR is good for plinking and pest control, as long as you do your part in the accuracy department. Talking about pests, guess who ate my fiber optic cable just a few days ago. It seems, rats love eating this stuff. Hey guys, I leave below the link to my podcast interview with Chris Martenson. I think it went well. If anyone has thoughts, questions and such feel free to leave them in the thread. The title says it all. A recent pool by The Federal Reserve Board shows that 47% of Americans would struggle to come up with $400 to deal with emergencies. The article is well worth reading. 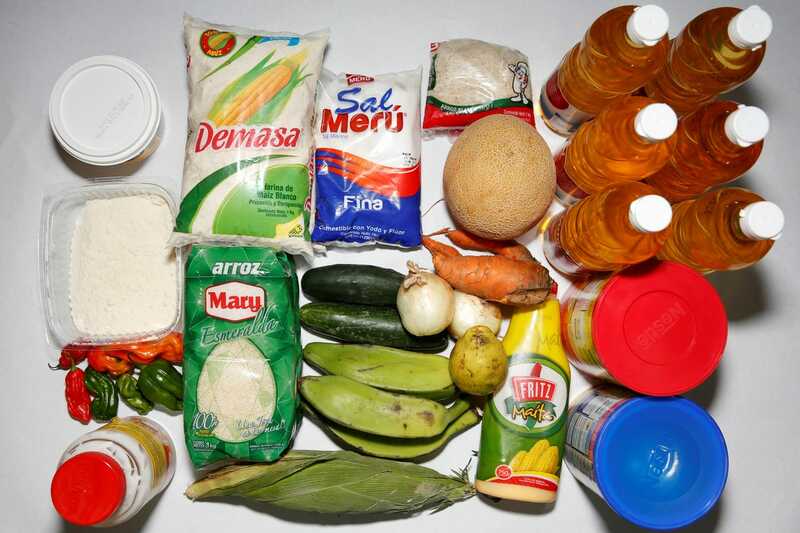 How much food does the average family have in Venezuela? As you probably know already Venezuela is collapsing in a pretty dramatic way. 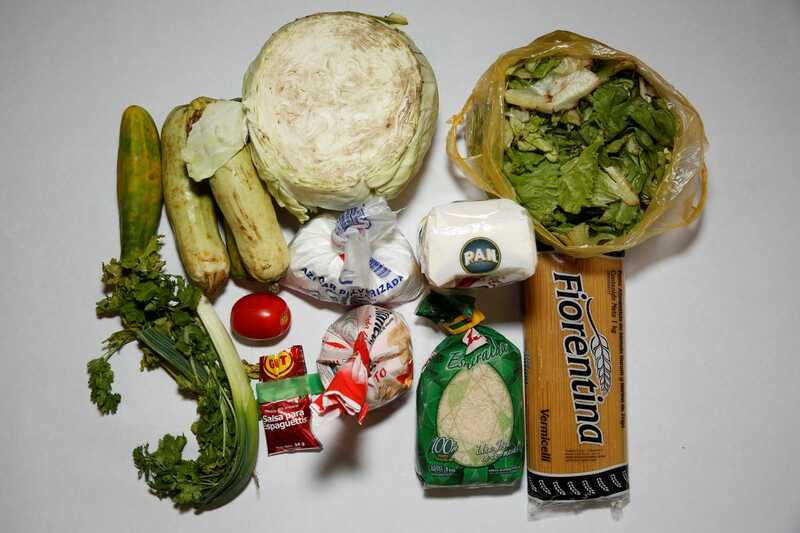 The situation has been critical for years now but people are now running out of food. 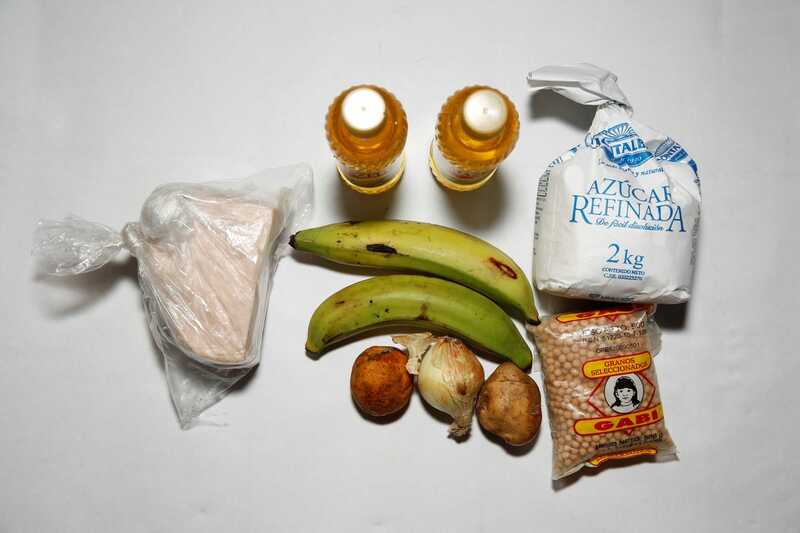 This Business Insider article illustrates the situation well, 'We want out of this agony': What it's like to eat in a country that's on the verge of collapse”. 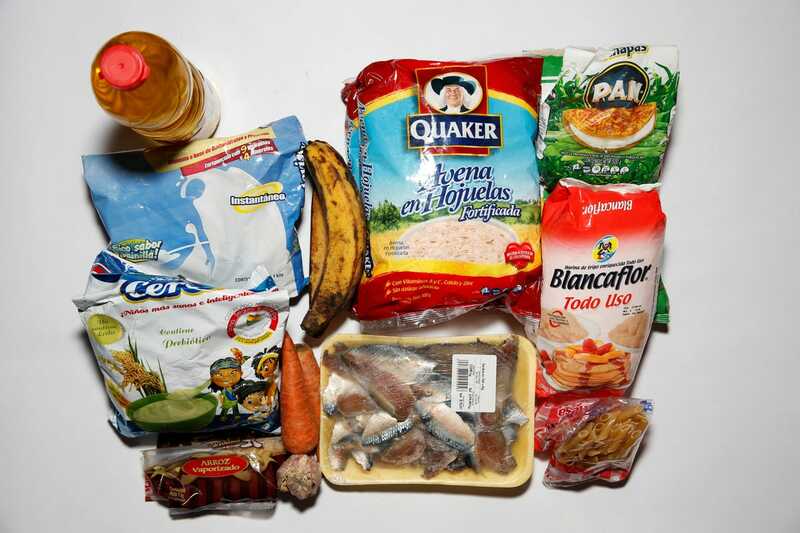 One of the more telling materials in it is the series of photos showing how much food typical families in Venezuela have left. Lesson of the day folks: you can never store enough water and food. Also, know when to bug out of the country entirely. The Zebralight H52W: The Best Survivalist flashlight? The Zebralight H52W has been around for a few years. The LED has been upgrading over time, currently it’s a Cree XM-L2, in either cool or neutral white, but the excellent concept, design and execution have remained. In spite of this I did not buy one until now. It seemed I always had something else that I liked well enough or was very happy with. Boy I wish I had bought one of these before. I use the question mark because I still believe that the Streamlight Sidewinder Compact II is the ultimate survival flashlight, the one I would have if I could have only one to deal with SHTF for extended periods of time. Having said that, the Zebralight is an extremely strong contender for the #1 place in the list. Both of these are angle head lights, making them very versatile. What I like about the Sidewinder Compact II the most is the military grade toughness and the ability to indistinctively use AA, AAA and CR123 format batteries. This trait is crucial for such a survivalist flashlight. On the other hand the H52W is almost half the size, making it better for pocket EDC, and with the right battery can put almost five times as much lumens downrange with its 500 lumen high mode. The Zebralight H52W makes very good use of its angle head and clip. Like the old Fulton MX991/U military flashlight, they can be clipped to webbing, straps or belts, keeping the reflector pointed forward. I used it recently attaching it to the neck of my t-shirt (the H52W is small and light enough to allow this) I can also clip it to my belt or front jeans pocket. The Zebralight H52W is actually intended to be headlamp so it includes a headstrap which is compact yet comfortable, turning it into a pretty good headlamp. The H52W uses a single AA battery. This is an important factor given that AA are one of the easiest batteries to come across. It can also run on lithium and li-ion batteries, considerably increasing its capabilities with the use of 3.7V14500 rechargable batteries. Many AA lights expressively forbid the use of 3.7V batteries and the few that do allow it often end up losing functions such as the lower lumen modes. Not the case here. 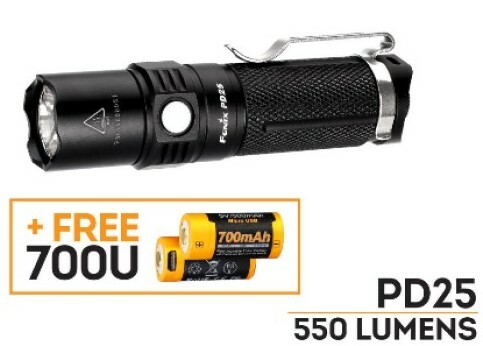 The light includes yet another feature that is important for anyone carrying and using the light frequently as their EDC, a battery voltage indicator. Clicking it four times the LED blinks 1 to 4 times letting you know how much battery is left. Clicking three times you get the beacon and strobe mode, which you can select by double clicking. With 14500 it has a maximum output of 500 lumens. This runs for only one minute before dropping to 270 lumens to avoid overheating. The moonlight mode can be programed as low as 0,01 lumens which can supposedly run for 3 months. The user interface of the H52W sounds tricky at first to say the least, but once you do get used to it, it becomes almost intuitive and fast to use. The light has low medium and high mode, and there’s a second sublevel mode for each which can be programed into two output modes or three in the case of the second low mode. A short click turns the light on in high, either one of the high modes used last time. A double click turns the light on in medium mode (again, either one of the two used last) and one long click turns it on low. In any case pressing and holding cycles through low, medium and high and double clicking engages the sub level of each of those. After a few days, it was simple enough to double click so as to get an either brighter or dimmer light if either of the low medium or high mode wasn’t exactly what I was looking for. Again, sounds messy but you soon get the hang of it. As much as I liked the H52W I couldn’t get over the fact that it simply wasn’t a multi battery flashlight like the Sidewinder Compact II… or was it? Out of pure curiosity I dropped a AAA in there and clicked the light. Surprisingly, it came to life. The light is clearly not intended to be used with AAA but the spring on the cap happens to be long enough to make contact. It is not very reliable. The small AAA moves out of contact easily but the point is it does work and using a bit of paper rolled around it to keep it centered in place would greatly improve the reliability. The Zebralight H52W is now my EDC light. I know something better will eventually come along to replace it. Looking forward to that though, because if it does replace my Zebralight I know it will be one hell of an amazing flashlight. Puerto Rico has been falling apart for some time now. You actually bring up two very important points. First, be careful of the main stream media. You need to understand that all media companies are owned by people with certain interests and the media they own promotes the agenda behind those interests. Understanding this and understanding the way they manipulate and create public opinion is more important than ever for a modern survivalist. We live in an age in which we have more information available to us than ever before, but that also means that there’s just as many more channels to influence the masses. Second, the importance of timing. Know when to leave. The ultimate survival strategy to a worst case event is moving away from it. In cases like these you need to identify when it’s time to leave. It’s not always easy, but while you don’t want to overreact, you also don’t want to wait too long past the point of no return. Due to war, economic collapse or tyranny, it may get to a point when it just too late to leave, or it becomes exponentially more dangerous or expensive to do so. I have been reading stories about the situation in Venezuela. Specifically about the ability or lack of ability to buy food. 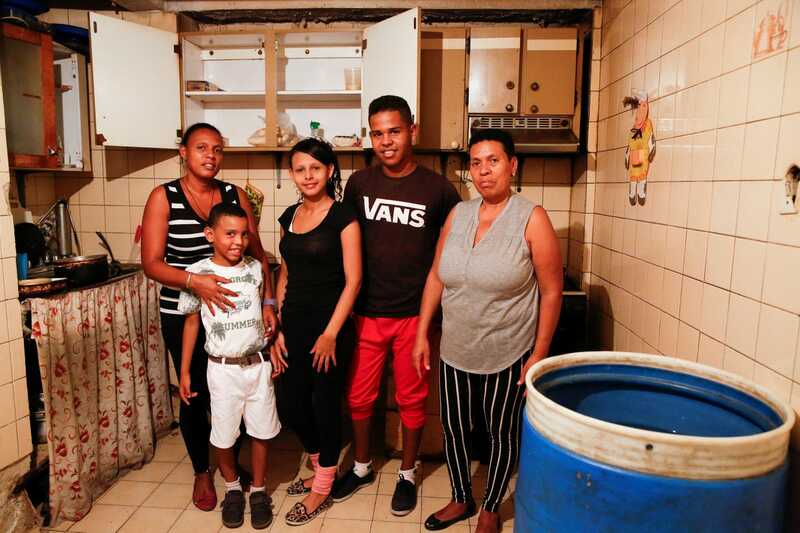 In looking at the pictures in this article, the latest one I've read, I noticed that the kitchens are really small, but more I noticed that many people seem to have the blue plastic water barrels in the kitchens. Is this what they are? Water barrels? Tell us about the water situation when hard economic times hit hard in countries and communities, and the families especially. here is the link to the latest article I read. 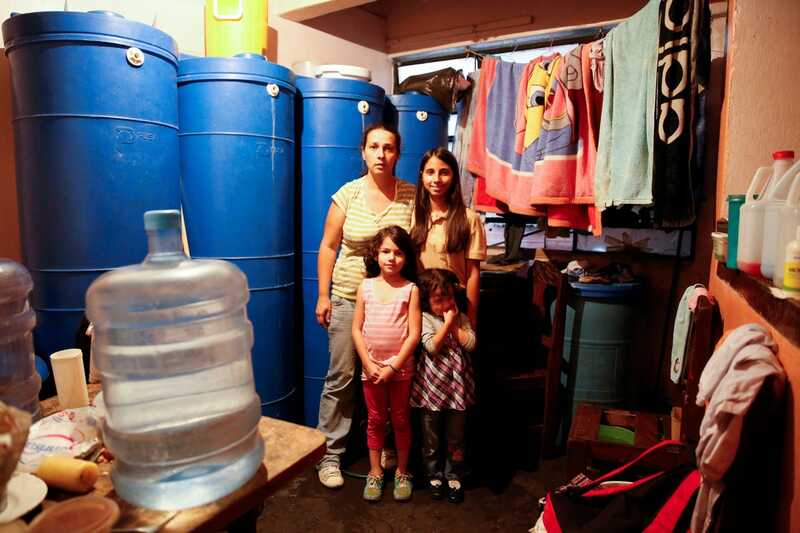 It is true, there’s a big problem with water in Venezuela. 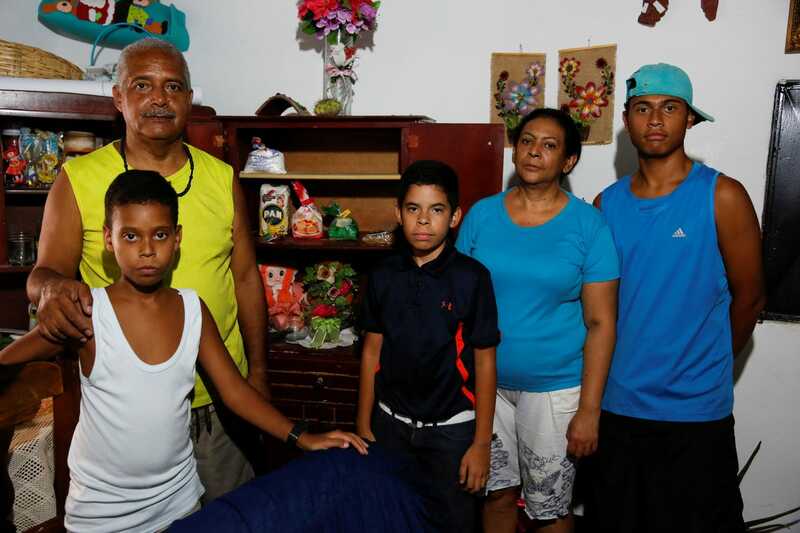 The government blames adverse climatic conditions, but this is typical of corrupt authoritarian governments: The problem is failing infrastructure and complete disregard for the social well-being of the population. Water is maybe the most overlooked aspect of preparedness when stockpiling supplies. People think of guns, of food, even of having water filters, but actual water? 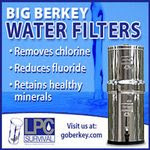 Ask most people how much actual drinking water they have and few will truly have a week worth of water stored. Don’t underestimate water people! Stock up as much as you can, it will never be enough. Not only for drinking, but also cooking, sanitation, washing clothes, hands and flushing toilets. Big water containers are great but don’t forget smaller ones. Start collecting containers, 2L soda bottles are actually great. They are very handy for use and fit in lots of dead spaces around the house, especially smaller ones where finding storage space is sometimes difficult. 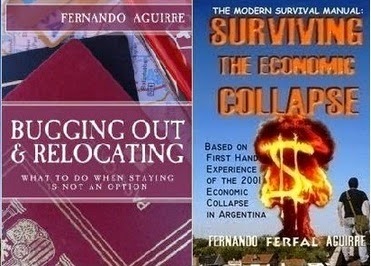 Just ask yourself, how long have you prepared for if SHTF. Keep in mind that you’ll need a gallon per person per day. I suggest to have at least a week’s worth for your entire family group. 1)It can happen to anyone, at any time. NO EXCEPTIONS. PERIOD. Next time I read about someone claiming he already lives at his Bug Out Location and doesn’t plan on ever bugging out I’ll buy a plane ticket, fly wherever he lives and tattoo on his forehead “YOU CANT LIVE AT YOUR BUG OUT LOCATION”. By definition, a Bug Out Location is a place where you go when your main place of residence is compromised and no longer viable. The moment you are living there, it no longer counts as an alternative place to go to because it has now become the place where you are living. This is just as ridiculous as people that believe they don’t need to worry because they already left the city which will succumb to zombies in the coming apocalypse. Fire doesn’t care that you live in the forest or in nice suburbs or the middle of the city. As long as it finds fuel it will burn it down, rural or not. Forest fires spread with terrible speed, same happens in dry grasslands and bushes. Floods don’t care either. No matter where you live and how good your home setup is, there’s always the chance of one disaster or another forcing you to bug out so you need to plan for it. Sometimes you have days or several hours to plan and carry out your evacuation. Sometimes it’s a matter of minutes, seconds and sometimes you don’t make it out at all. You need to have a plan for this spectrum of possibilities. What do you do if all you manage to do is escape the burning house with nothing but the clothes on your back, which may as well be your underwear in the middle of winter. What do you grab if you have a minute or two? What do you throw in the trunk of your car if you have a bit more time? 3)You may be able to go back home in a matter of hours, days or never. You may be evacuating due to an approaching storm and after it clears you may be back home the following day… or the storm turns into a massive flood and completely destroys your entire neighbourhood killing anyone that stayed and leaving your with nothing at all to go back to. The same can be said of a fire, which leaves you with nothing but a patch of charred dirt and ashes. 4)Have your kit organized and ready to go. Don’t have a 120L rucksack ready to invade Iraq as your only Bug Out Bag. Organize your gear in layers. Have a bigger BOB but also have a smaller one in case you cant carry your huge backpack plus five tons of food and ammo. Its important to keep a small bag, fanny pack or satchel (VIP Bag) with your important documents, cash, maybe a handgun. The idea is to keep it in your safe and if nothing else, you take this smaller bag. Recently a grandmother drowned in Texas along with her four grandkids during a flash flood. She couldn’t even make it out of the house garage. I doubt she would have been able to carry 100 lbs of gear. Maybe you have to help others evacuate, maybe there’s wounded or hysterical people, maybe you are hurt yourself. If you have just seconds to escape you may or may not be able to carry a small bag. What this gives you is options to work with, but you need to plan and organize this ahead of time. 5)Have your vehicle ready to go at all times. Your car must work. It may be a matter of life or death. You better have enough gas to make it out of there as well. This too can be a matter of life or death even with a perfectly functional vehicle. The lesson here is, refill your tank when its 1/3 or ¼ capacity, but also keep fuel ready at hand. Not in your uncles farm or your cabin in the woods, but ready to go in your current place of residence. Keep your car’s kit in order. It may be all you have left if your home is destroyed. Extra clothes, some food, water, first aid kit, USB and copies of important papers. Don’t forget a phone charger and maybe keep a spare dedicated phone in your vehicle. An entire city of 80,000 forced to evacuate due to fires. be of toxins released in the vicinity. 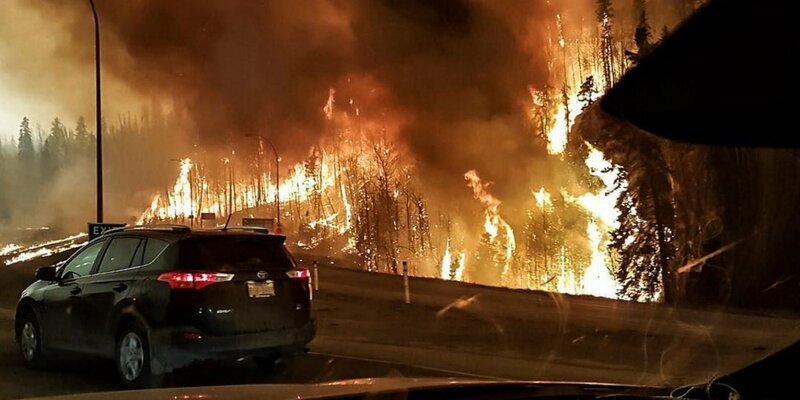 I don't know if you heard this, but the entire city of Fort McMurray, Alberta was ordered to evacuate as a massive wildfire breached the city limits. The scale of this inconceivable. 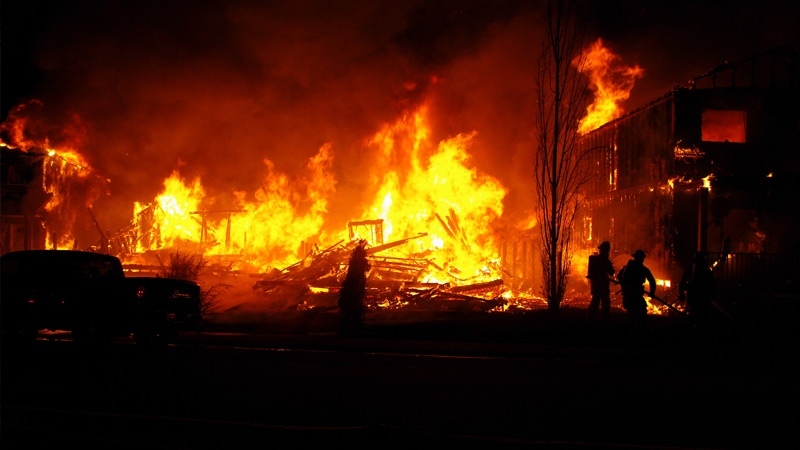 We hear for wildfires taking forests and a measurable number homes, but not entire cities of 80,000 people. The scale is massive. The report tells of evacuees being stranded because their vehicles could not get enough air to keep the engines running. Keep the people of Fort McMurray and Alberta in your prayers. Thanks for the heads up guys. The environmental and economic loss is already terrible, people are losing everything and the damage to the forests is terrible. I haven’t read of any fatalities yet but I wouldn’t be surprised if there are some given the magnitude of this wildfire and how it spread into a large urban area. Let’s keep them in our prayers and help those we can. I just finished reading your book. I learned so many things from your 1st hand experience in Argentina. I personally have been making plans for events that could occur here in another financially prosperous nation, the USA. There are so many things I could mention, but today I was driving to the store and I allowed myself to get box in with no way to escape if some emergency occurred. I guess the biggest thing I can say is that my whole mindset has changed. I am responsible for me and my families safety. I read your book to learn about how to approach this problem from a financial perspective, yet you opened the door to a whole bunch of other aspects that I had not even though of. Thank You. I have not read a book and thought that this author might some day be responsible for saving my families life. For this I am eternally grateful. Thank you for your email Douglas! It makes my day to know I helped someone to develop a more acute mindset. Achieving a greater level of perception of events around us and in general a more critical and analytic view of the world is an important part of what I wanted to transmit with my book. There are of course skills that need to be developed but in my experience it is just this, that higher state of awareness, that keeps you away from trouble and more often than not keeps you safe. I am of course talking here about imminent physical threats, but beyond that other risks such as scams and frauds, which today are common everywhere around the world. I recently posted a similar story, I believe it was also “HELP” which was written. *Carry proper equipment when hiking. Even if you plan on not staying the night. *Make sure you have a working phone. Also, tell people where you plan on going and when are you expected to be back. When I was younger and went hiking solo I would leave my mother a map with the route I would be taking. Sound silly but Tierra del Fuego is 18,572 sq. miles so its not the kind of place you want to get lost in!